Visit the most famous island in the Mediterranean Sea! Take a look at this great deal from Sunweb to beautiful Spain. 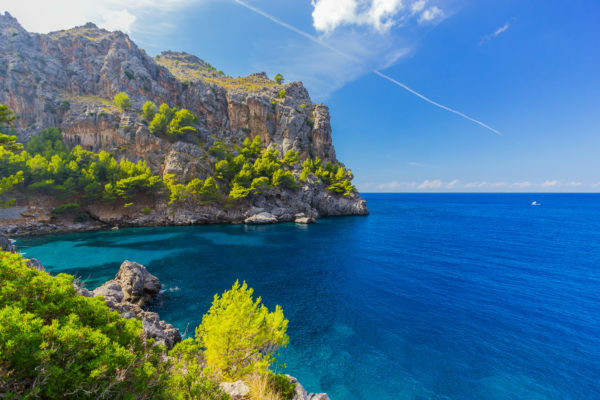 For only 2529 DKK you can spend 7 days on Mallorca, with a 3* hotel, transfer and flights included. ? You’ll spend 7 nights at the great 3* Sun Beach Hotel, only 2 minutes away from the beach. This hotel is conveniently set in the centre of Southern Mallorca’s popular Santa Ponsa resort and has its own outdoor pool 🙂 You will have your own balcony where you can relax, too! On Tripadvisor, the Sun Beach Hotel has received a good 4 out of 5 rating. The flights are with Norwegian & Primera Air from Billund or Copenhagen directly to Mallorca. There are various dates available from August – September, like we’ve listed below. At the cheapest date, you fly from Billund & land in Copenhagen. For a small additional cost, you can land back where your trip started from, just check out our list below. 🙂 The deal also includes the transfer from the airport to the hotel.